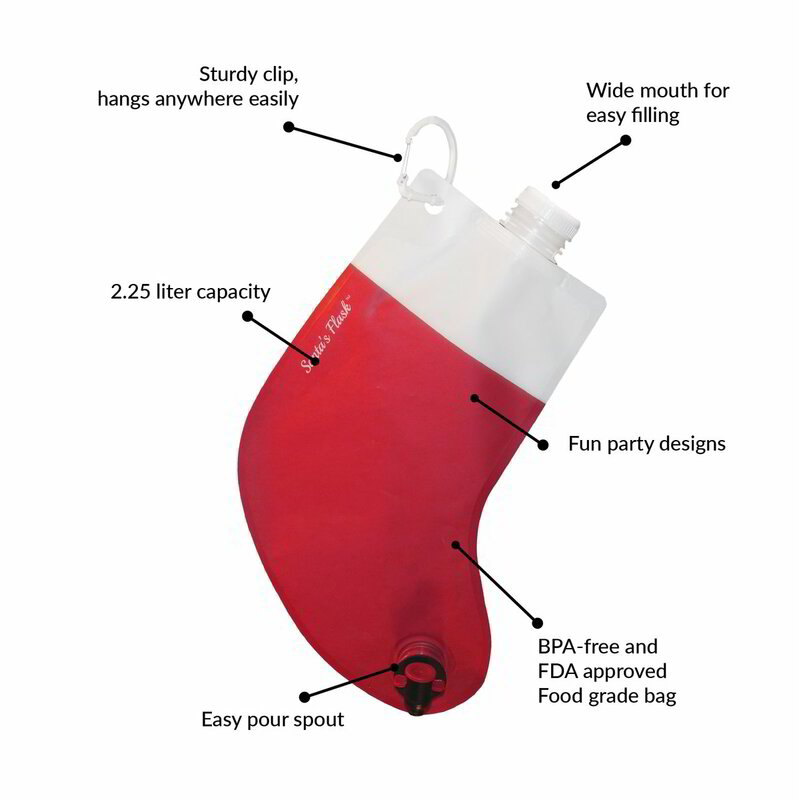 Santa’s Flask® holds 3 full bottles of wine or party drinks (2.25 L) so you can fill it up and enjoy your party while everyone has fun pouring their own drinks. 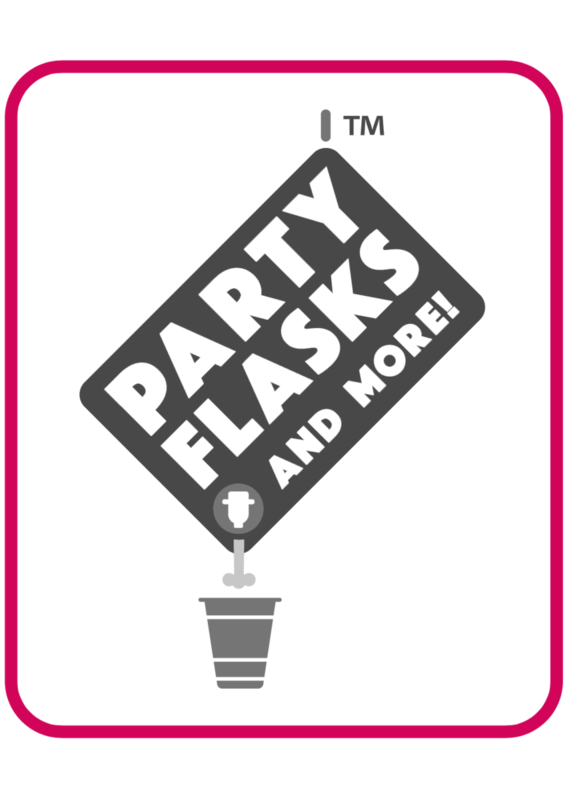 For the rest of the Party Flasks, pour the first glass for you and the rest will fit in the flask (2.0 L). 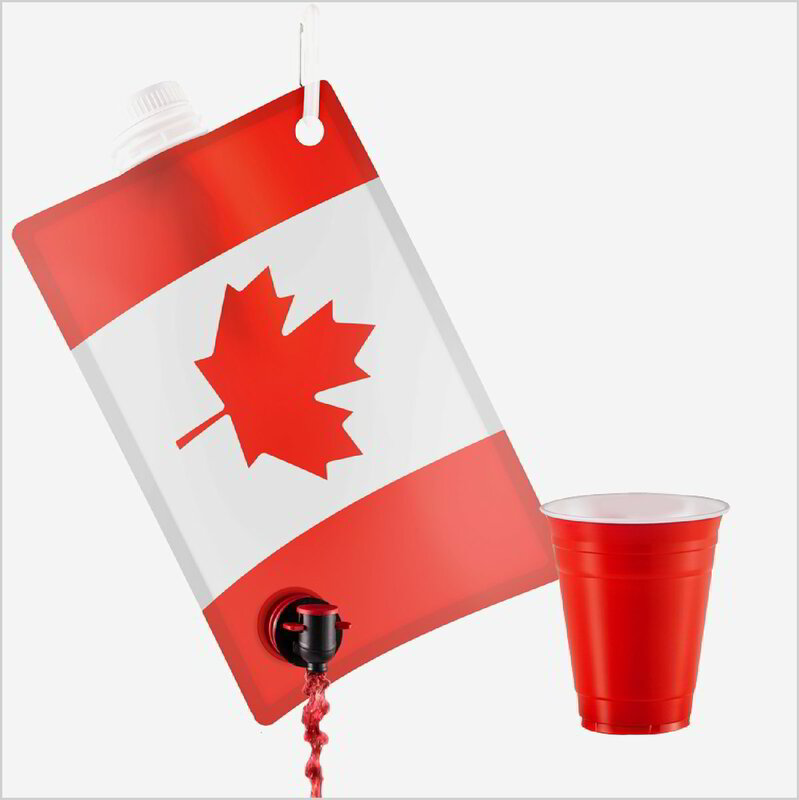 When the party’s over, fill your party flask with soapy water, shake-shake-shake, then rinse with clear water. It’s good-to-go for your next party. 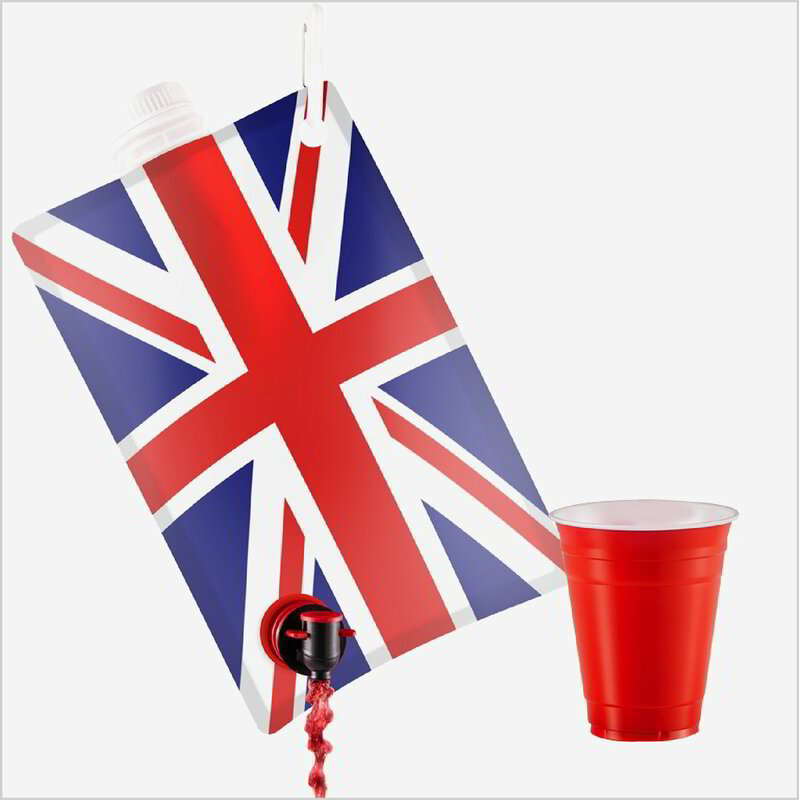 ﻿The wide mouth spout at the top makes your flask easy to fill and the clip let’s you hang it from anything that can handle the weight of the full flask. 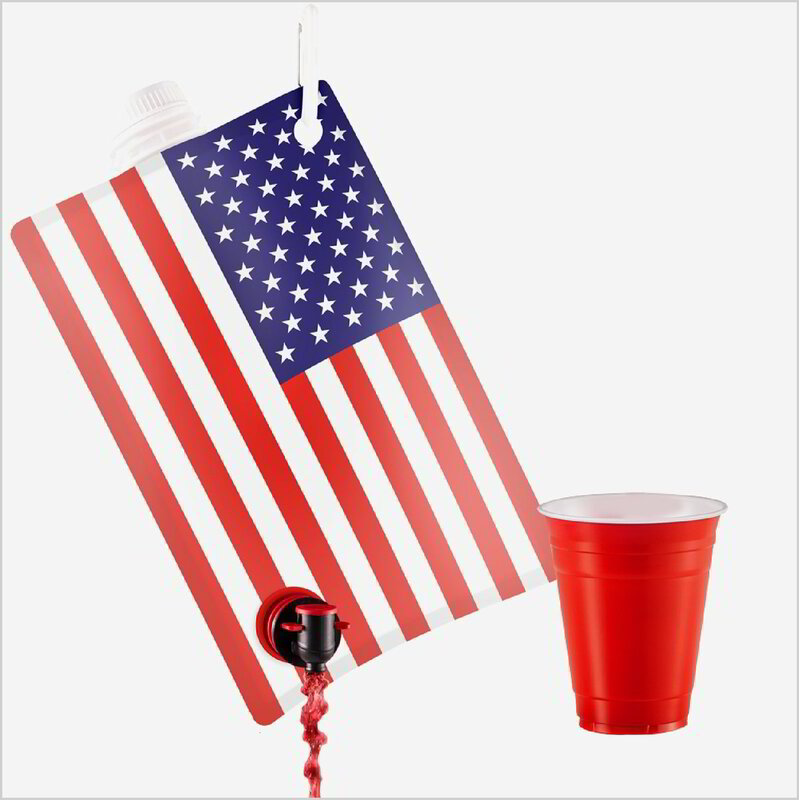 The pour spout makes it easy to tap a drink, and it doesn’t drip. Your drinks go into your cup and not all over the floor. 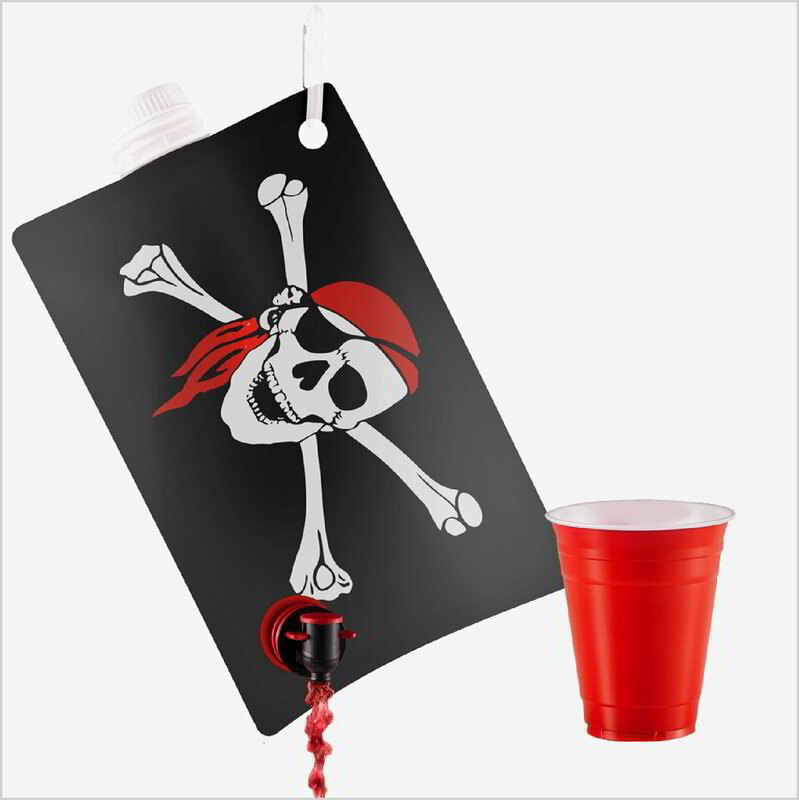 OR a lot of people skip the cup and drink straight from the spout! 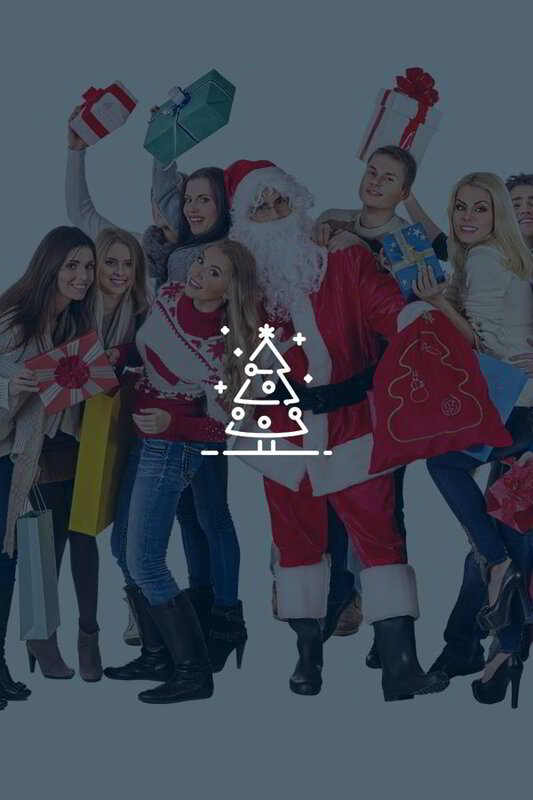 Want a great excuse to party every month? Get our fun series of actual holidays, Like International Talk Like a Pirate Day. 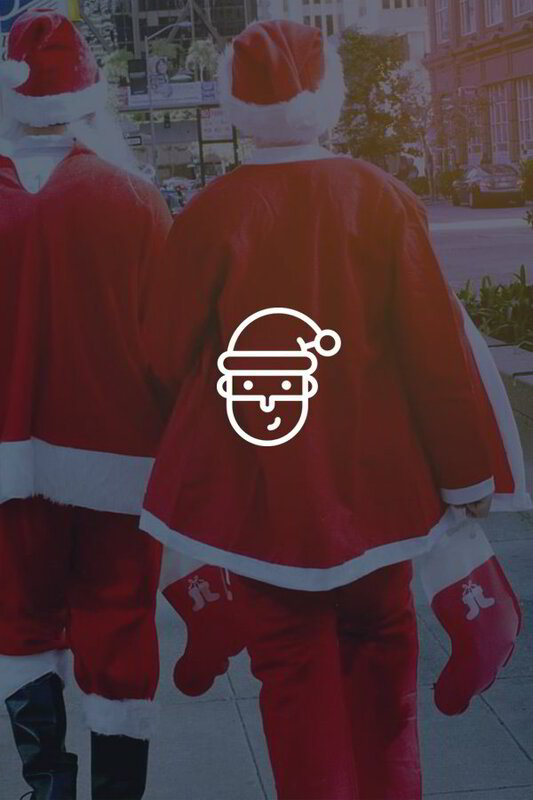 They will show up in your Inbox a few weeks before the holiday with party games and party drink suggestions. 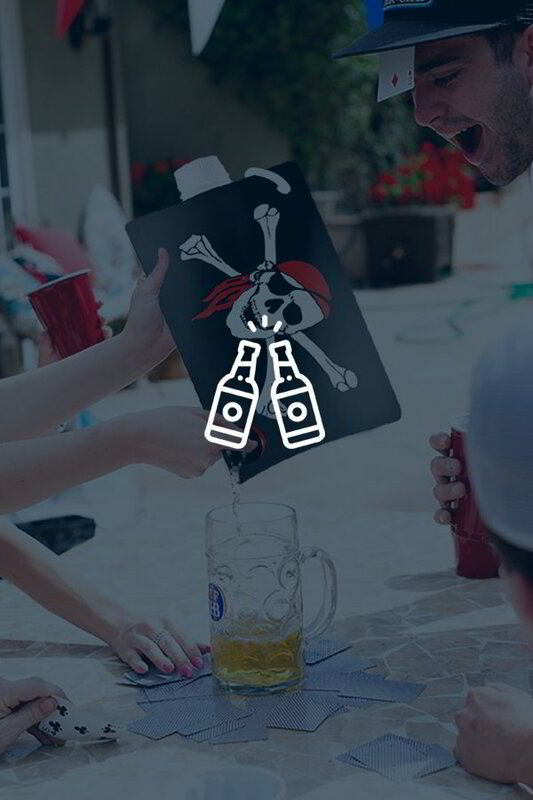 Invite your friends, fill your party flasks, and get the party started. 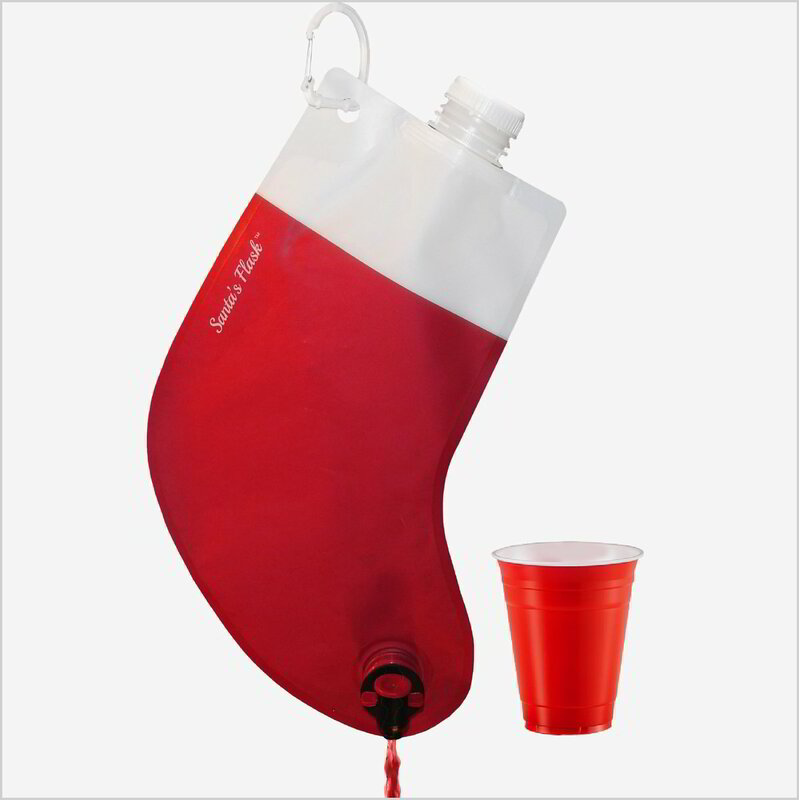 Santa's Flask® and Party Flasks® are Registered trademarks. 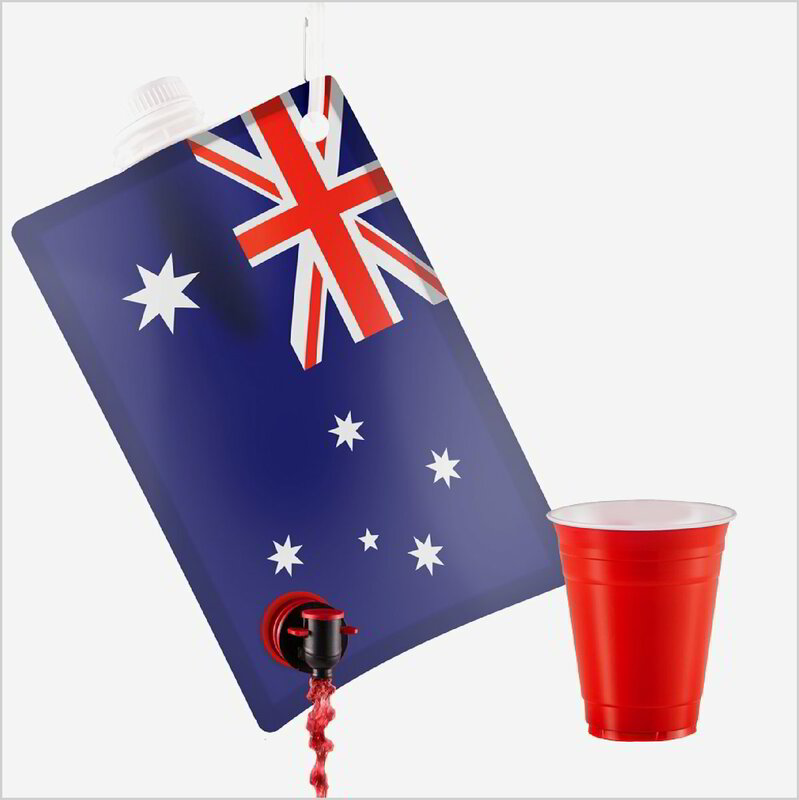 Contact Party Flasks for Registered patent Numbers. All rights reserved.